Eight months after fresh violence erupted in South Sudan, a famine produced by the vicious combination of fighting and drought is now driving the world’s fastest growing refugee crisis. 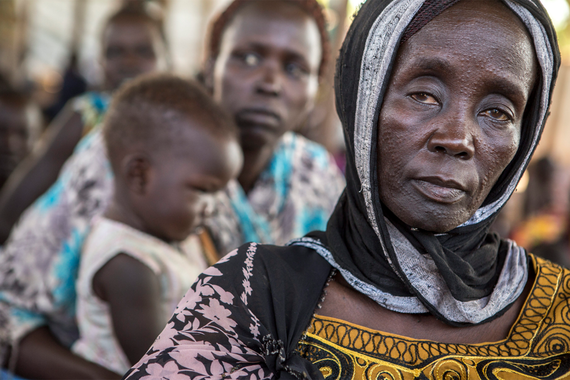 ”Total displacement from South Sudan into the surrounding region is now 1.6 million people. The rate of new displacement is alarming, representing an impossible burden on a region that is significantly poorer and which is fast running short of resources to cope,” said Babar Baloch, UNHCR Spokesperson. “No neighbouring country is immune. Refugees are fleeing into Sudan, Ethiopia, Kenya, Democratic Republic of the Congo, and Central African Republic. Almost half have crossed into Uganda, where in the country’s north, the situation is now critical. Until recently we were seeing new arrivals there at a rate of around 2,000 people daily. The influx peaked in February at more than 6,000 in a single day. In March, the peak in a single day has been more than 5,000 with the current daily average of over 2,800 arrivals,” Baloch stated. The UNHCR Spokesperson added that the result of the rapid influx is that transit facilities in northern Uganda set up to deal with the newly arriving refugees from South Sudan are becoming overwhelmed. Recent rains in the area have not helped matters, and are adding to the misery. ”Today’s situation in Uganda is proving to be the first and major test of commitments made at last September’s Summit for Refugees and Migrants in New York, including a key commitment to apply a game-changing approach to refugee situations worldwide – known as the Comprehensive Refugee Response Framework (CRRF)” said Baloch. Uganda is a frontline state for this new approach. Along with 5 other countries it has agreed to champion the CRRF by taking actions to integrate humanitarian efforts with developmental ones. These include providing land to refugees, including refugees in national development plans, and allowing them to access job markets. ”These efforts are at grave risk of failing unless there is urgent and large-scale additional support. At present funding for South Sudanese refugees in the region is at just 8 per cent out of the required US$781.8 million. UNHCR’s own funding appeal for Uganda is short by more than a quarter of a billion dollars (US$267 million),” Baloch added. 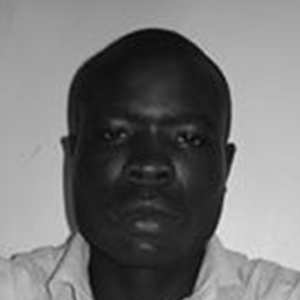 Male Daniel is a South Sudanese journalist working for The Junubi newspaper and website. Earlier he worked for Bakhita Radio as reporter and web editor. Daniel completed the South Sudan Media Forum training in 2012. He is interested in various topics ranging from politics and economics to religion, women empowerment and Peace. Daniel says he particularly likes reporting on life in rural South Sudan.